I'm not really a Dodgers fan, but I just did it to do it. 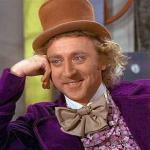 SO, THE ASTROS ARE IN THE WORLD SERIES, EH? HAH! 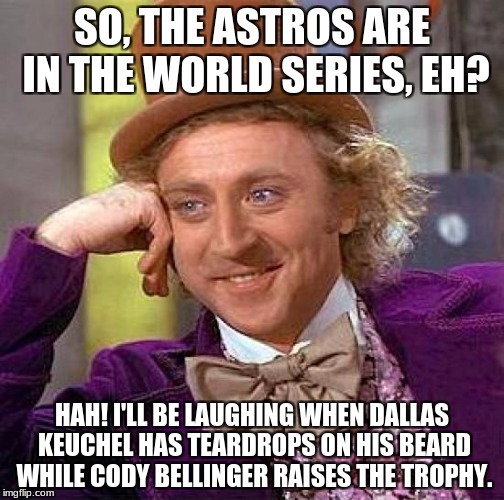 I'LL BE LAUGHING WHEN DALLAS KEUCHEL HAS TEARDROPS ON HIS BEARD WHILE CODY BELLINGER RAISES THE TROPHY.